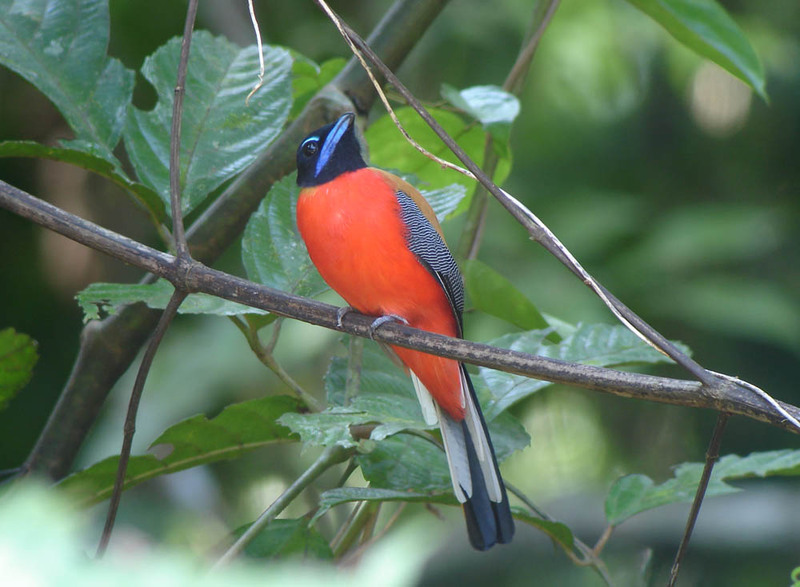 Red-naped Trogon. Harpactes kasumba. 30 – 33 cm. Found in lowland forest. Enough said. Let’s go look for it ! 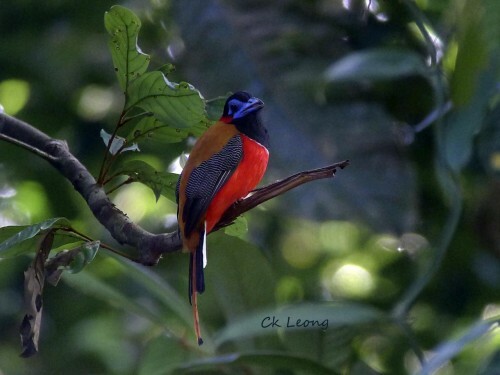 In Borneo, the Scarlet-rumped Trogon Harpactes duvaucelii is the smallest and also the most common of this family of brightly coloured birds. 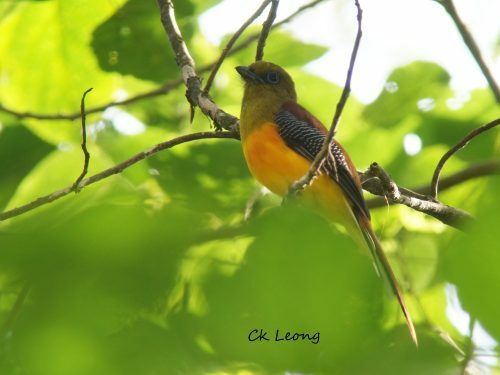 They usually perch in the understorey of the forest, feeding mainly on insects. We found this male steadfastly defending its territory together with 2 other birds, one of which must have been a juvenile. Despite the birds’s perching habit, it is really quite difficult to get a good shot as they always seem to be partially behind leaves or twigs.